Arsenal put themselves in a great position going into the second leg of the Europa League quarter-final with a 2-0 win over Napoli last night. 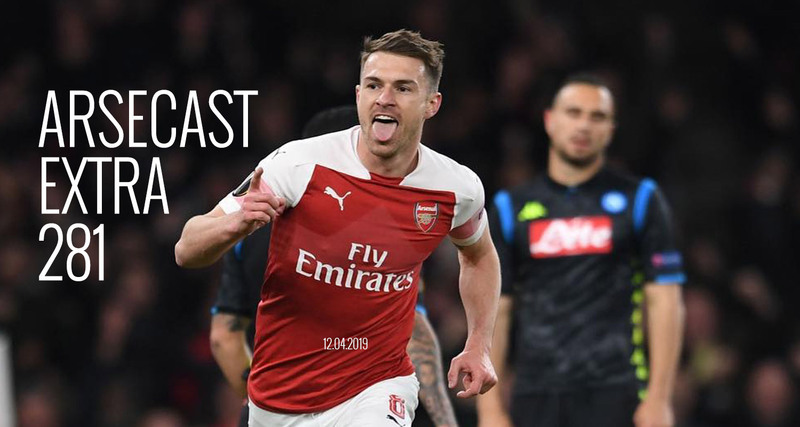 We discuss the game, the midfield influence of Lucas Torreira and Aaron Ramsey, the all-important clean sheet which is better than more goals, Emery’s in-game management and what was a positive response to our last game at Everton. Then we answer listener questions about Petr Cech and whether Bernd Leno should replace him for the European games, potential transfer business including our need for a left-back, how to manage the squad with the upcoming away games against Watford and Napoli in mind, and lots more. Next articleSo, how do you replace Aaron Ramsey?